ST. PAUL — A sixth grade student in Minnesota has won her right to share pro-life literature with her classmates following a federal lawsuit filed on her behalf by a Christian legal organization. As previously reported, in February of this year, Annie Zinos distributed fliers regarding the issue of abortion to her classmates during lunchtime. One of the fliers read, “Save the baby humans. Stop abortion.” Several of her friends joined her in passing out the materials to interested peers. However, after some of the students complained and asserted that the flyers were “offensive,” Annie and her friends were called into Director Miranda Morton’s office. Morton then advised the students that they could not distribute the literature at any time on school property, including instances when another classmate personally requests a copy. Annie’s father, Nick, a Catholic book retailer, then emailed Morton to express concern. “[B]eing called into the office before her peers without having done any wrong, and then being told in [the director’s] office that they could no longer do what they had been doing, was unfair and perhaps a humiliating experience for my daughter and for the others involved,” he wrote. Morton forwarded Zinos’ correspondence to Executive Director Brian Bloomfield, who responded by contending that the topic of abortion was not age appropriate for middle school students. He advised that the school has a right to censor literature that it deems contrary to its mission. “[T]he school has parameters in place for political, religious, and controversial speech for students in the School of Rhetoric (high school) only, put in place last year [due] to parent concerns about younger students being exposed to such ideas and the goals of the classical trivium,” he explained. He advised Zinos that Annie would have to wait until she enters high school to distribute literature pertaining to the issue of abortion. However, in an effort to gain the right to freely share literature on the premises surrounding topics that are of importance to Annie and her peers, the Christian legal organization Alliance Defending Freedom (ADF) filed a lawsuit on behalf of the young girl. 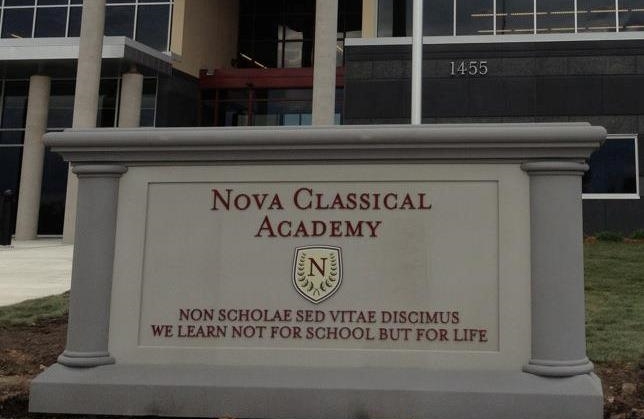 This week, ADF announced that Nova Classical Academy has revised its literature distribution policy as part of a settlement over the matter. As a result, Annie may now share pro-life literature with her friends and classmates as she had originally desired to do.